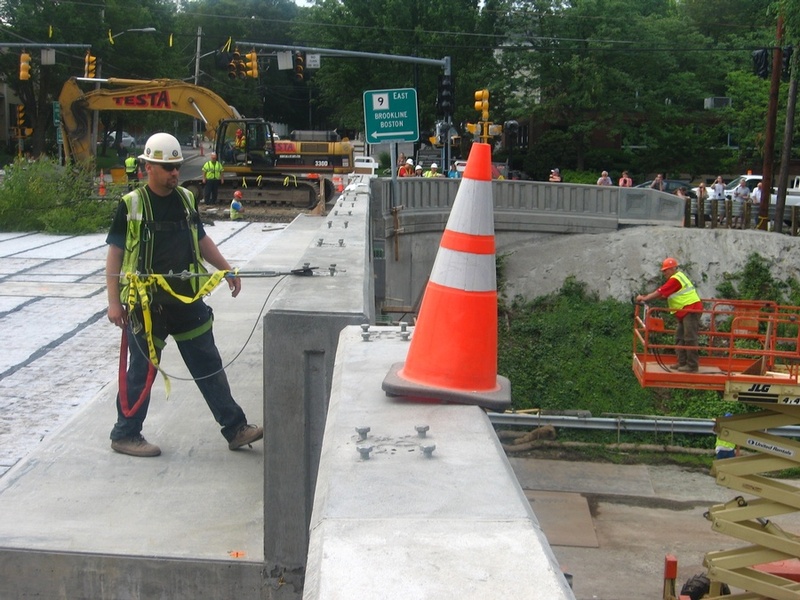 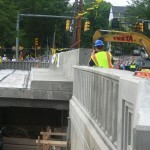 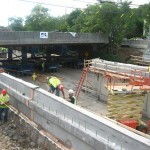 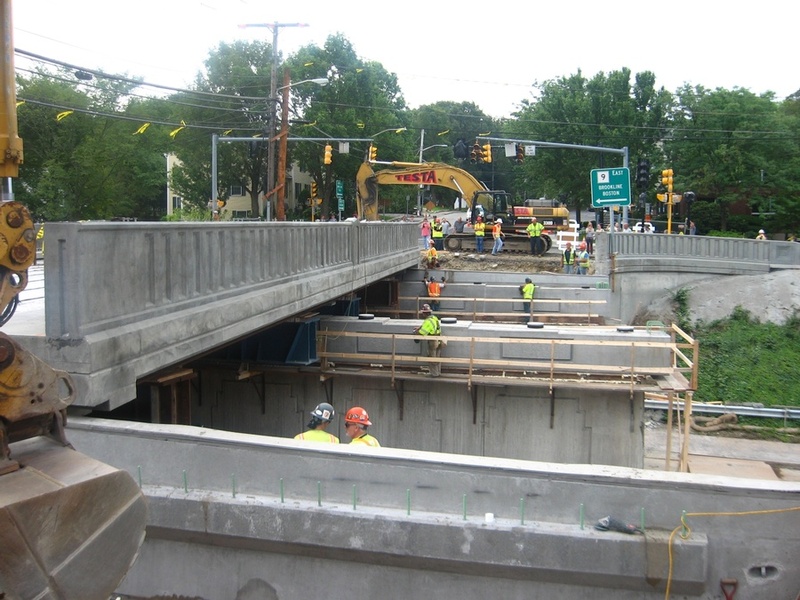 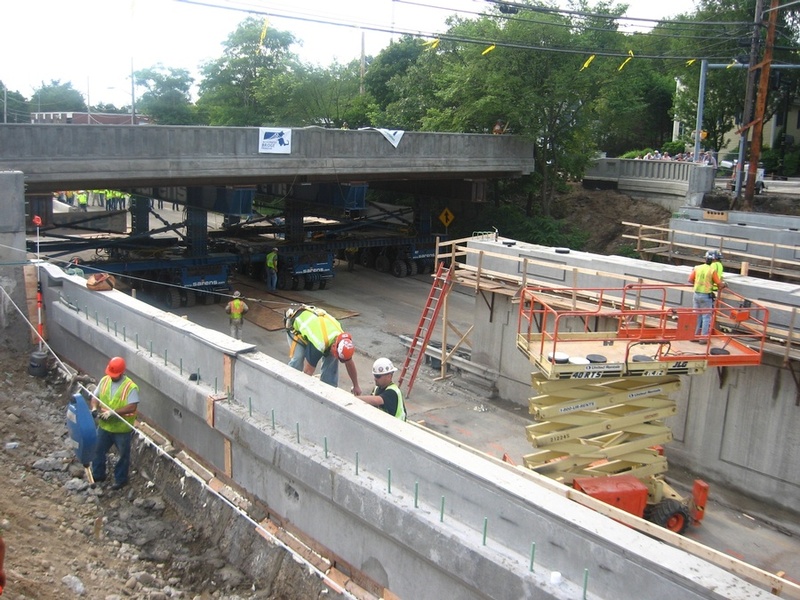 The Wellesley (Cedar Street) Bridge replacement project is a $4.1 million “Heavy Lift, Accelerated Bridge project”, according to the Massachusetts Department of Transportation. 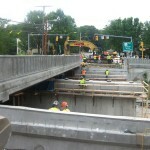 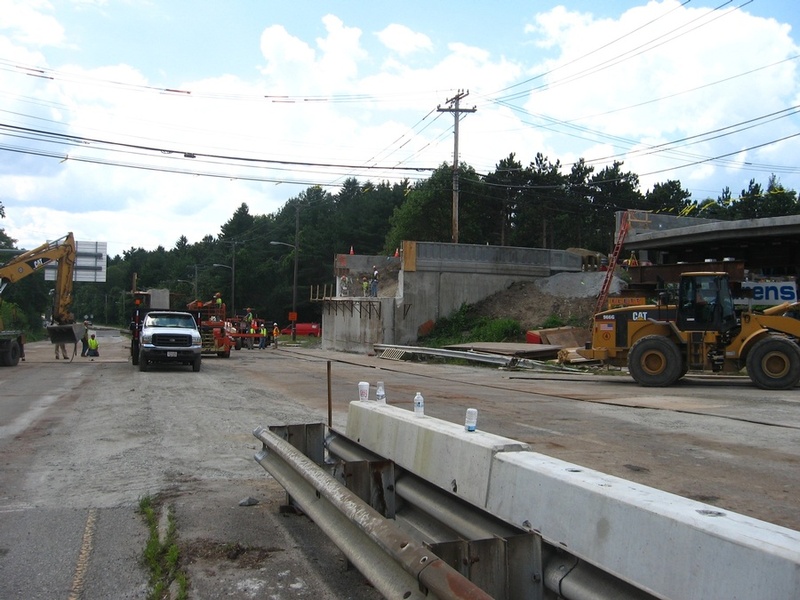 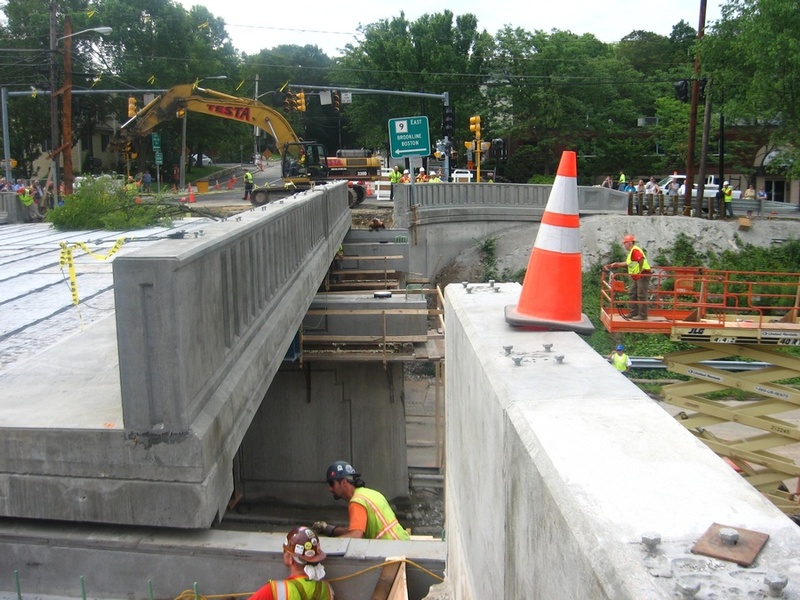 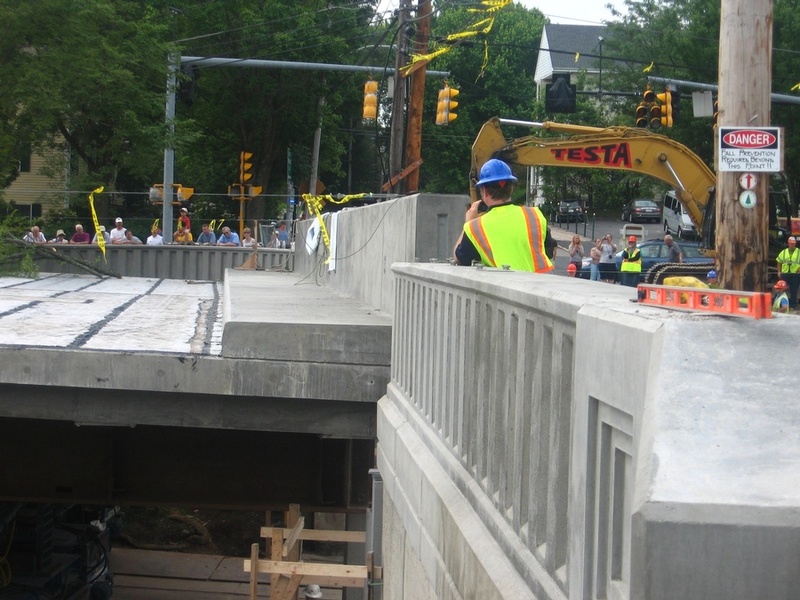 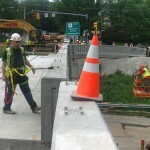 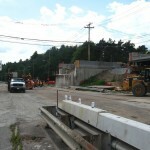 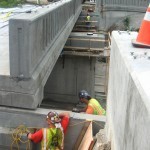 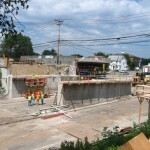 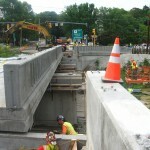 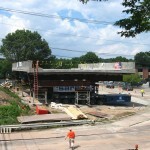 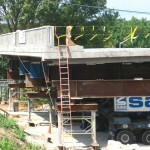 It was designed to replace the superstructure and center pier of the Cedar Street Bridge over Route 9 in the Town of Wellesley. 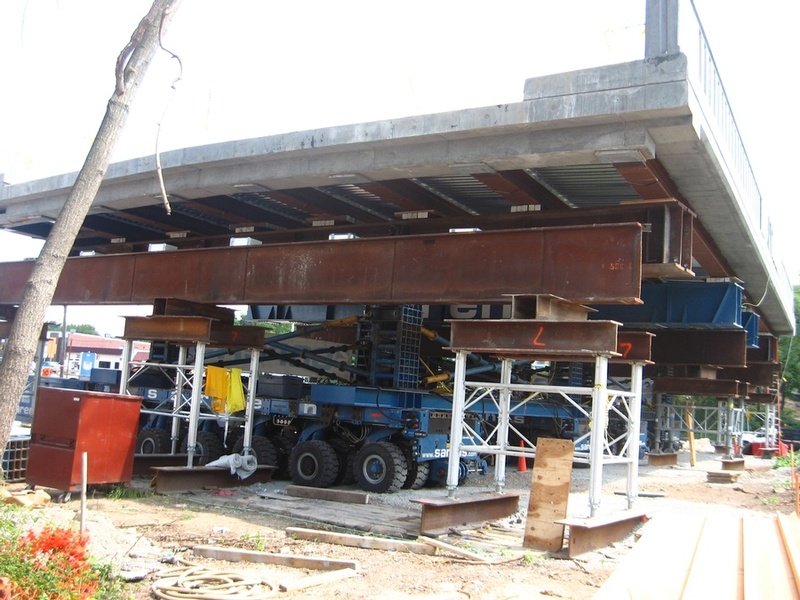 The new bridge superstructure restores the structural integrity of the bridge and increases the vertical clearance under the bridge. 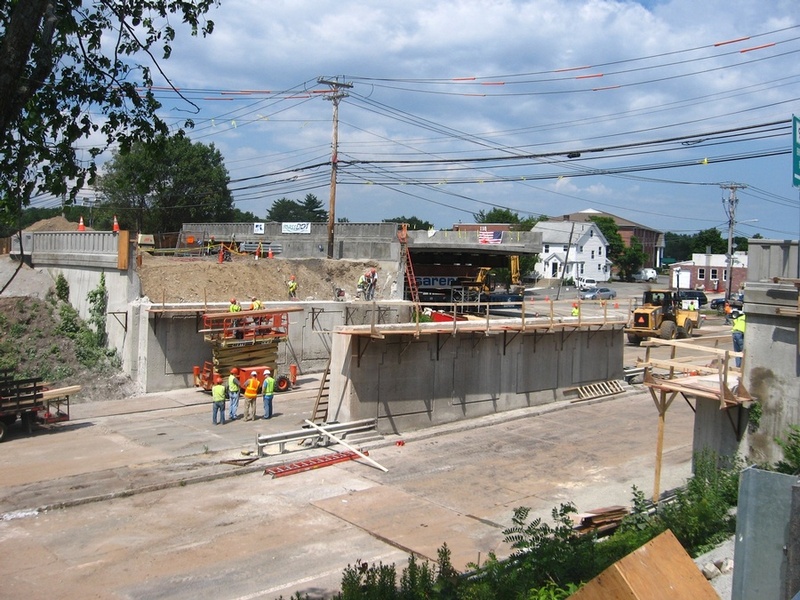 This project was funded by the Patrick-Murray Administration’s historic, eight-year Accelerated Bridge Program to repair and replace structurally-deficient bridges. 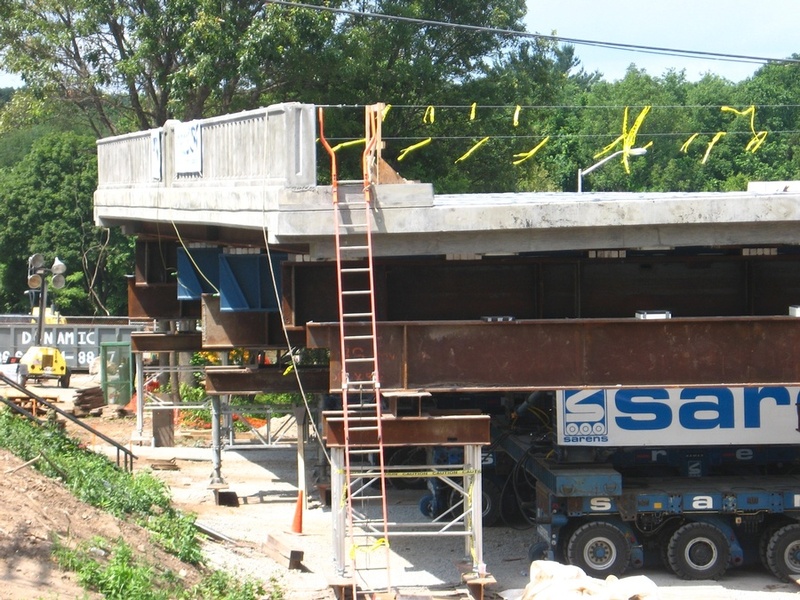 The new Wellesley Bridge is a two-span continuous steel stringer superstructure with a cast-in-place concrete deck and was built at a staging area 300’ from the existing bridge. 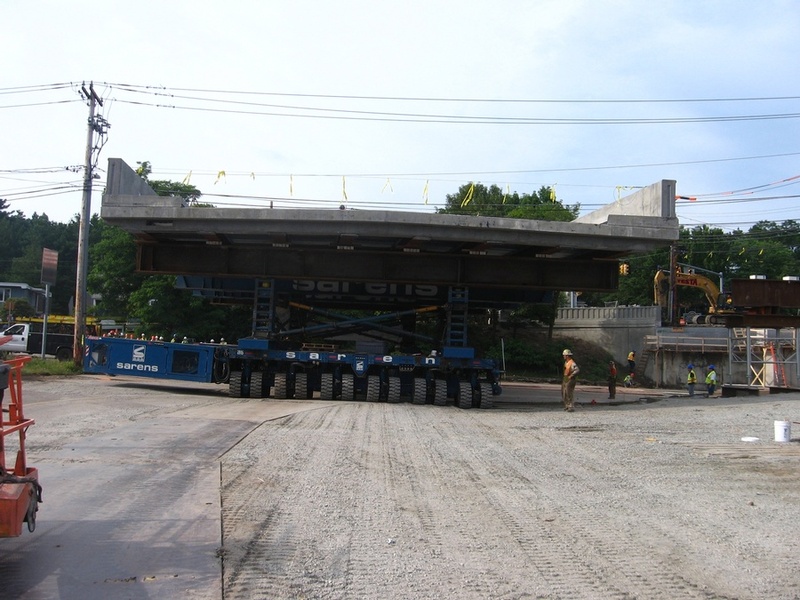 The structure length is 24.4 meters (80.05 ft.) with a minimum vertical clearance over the bridge roadway of 100.0 meters (328.08 ft.). 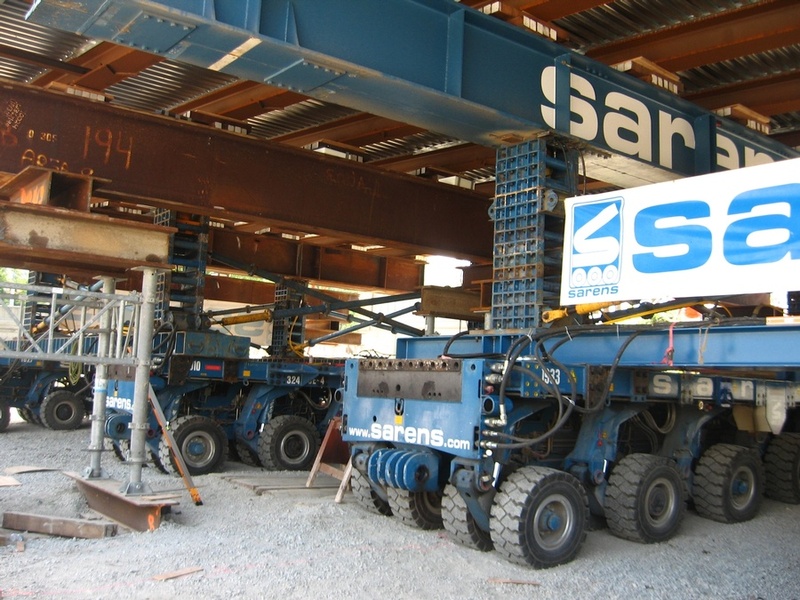 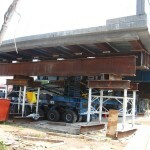 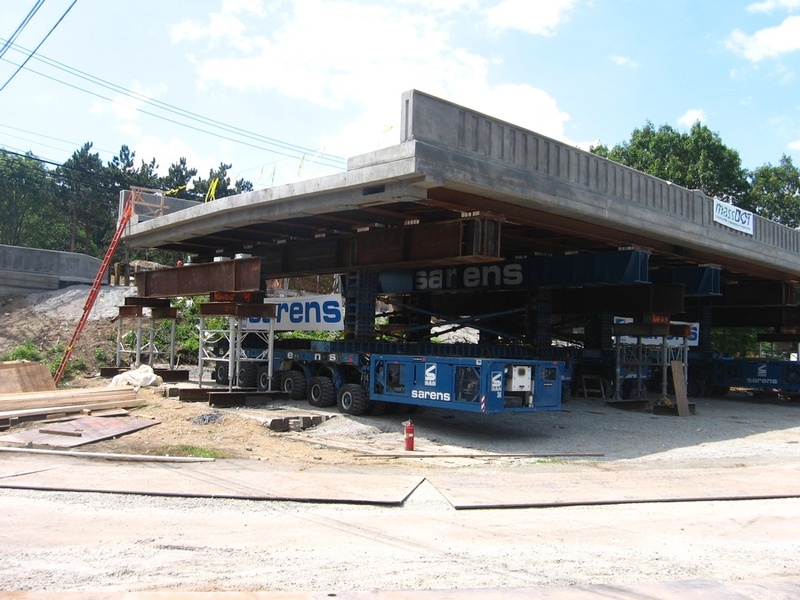 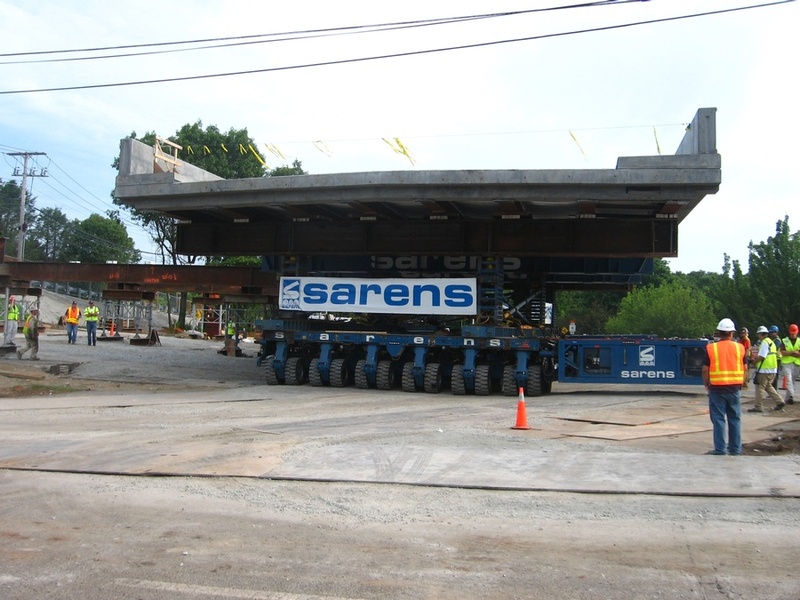 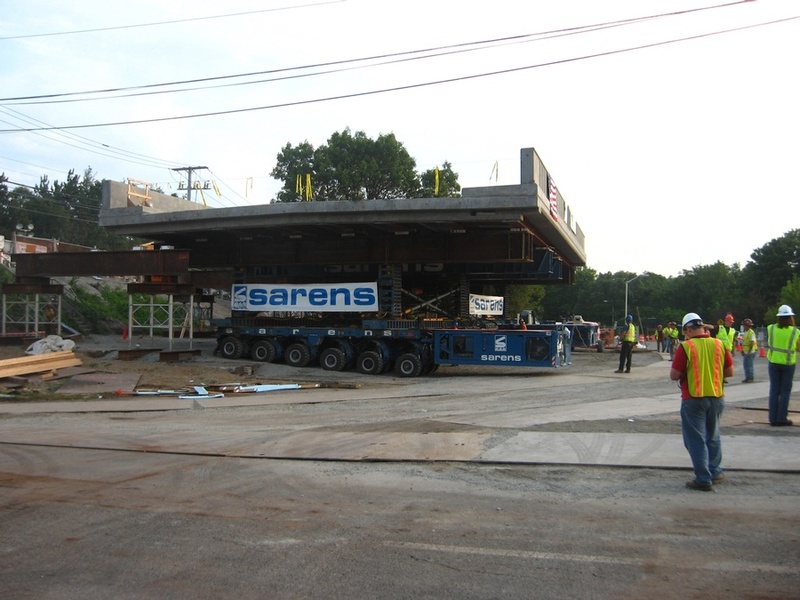 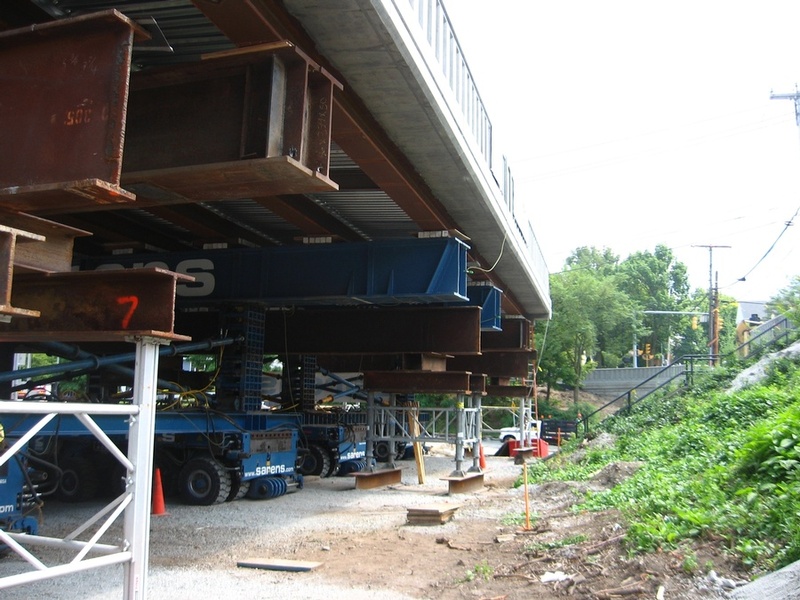 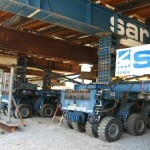 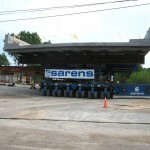 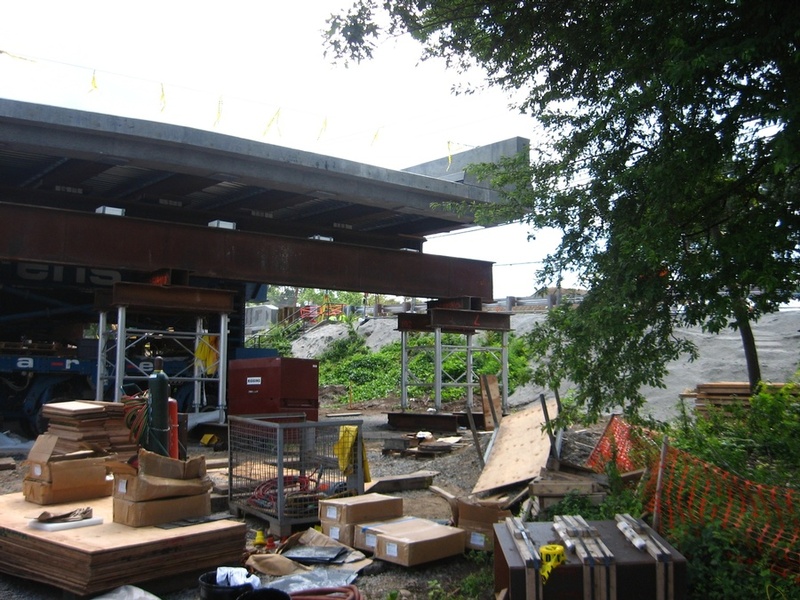 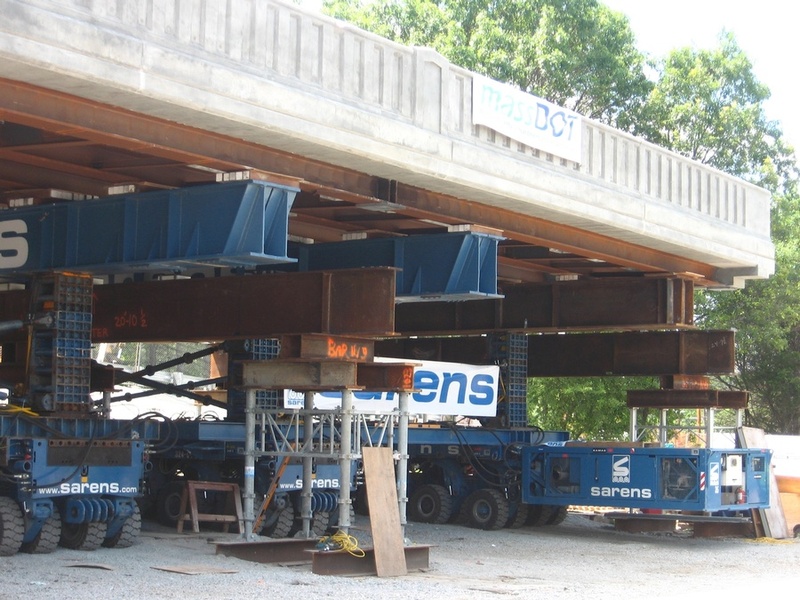 The “heavy lift” stage utilized four SPMT trailers in order to lift the new superstructure off the temporary falsework and transport the bridge along Route 9; the trailers then lowered the structure into its final position on the abutments and center pier. 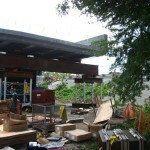 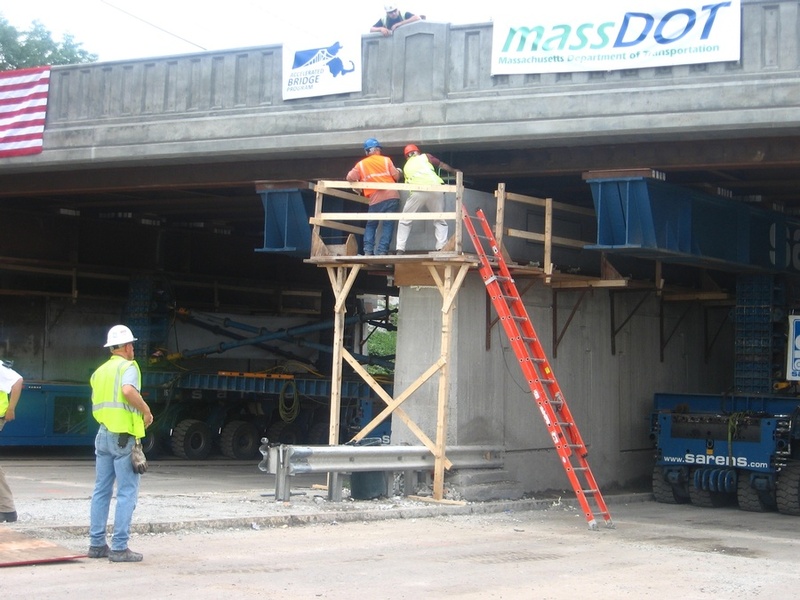 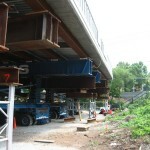 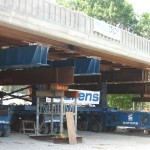 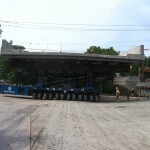 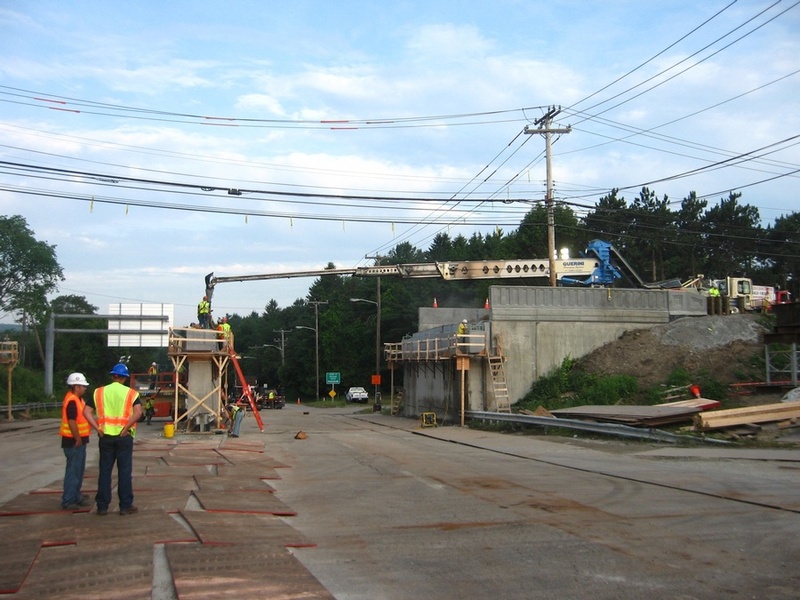 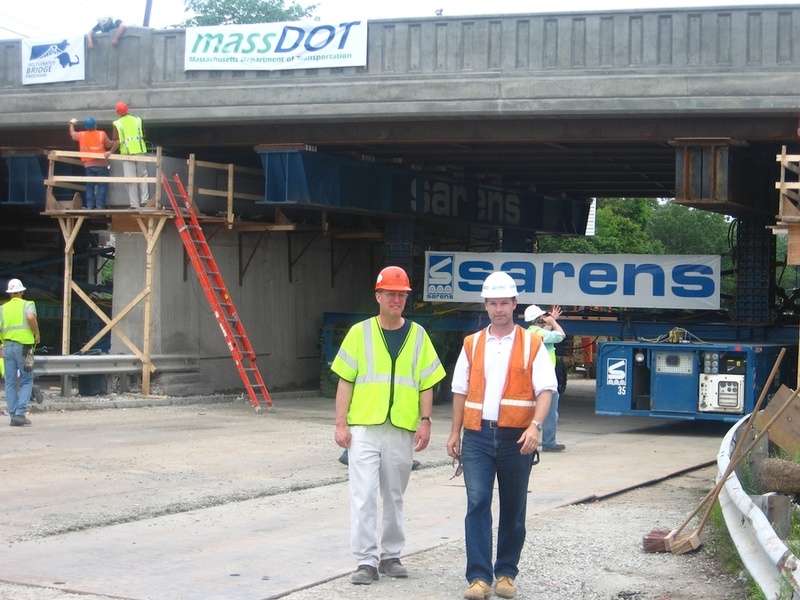 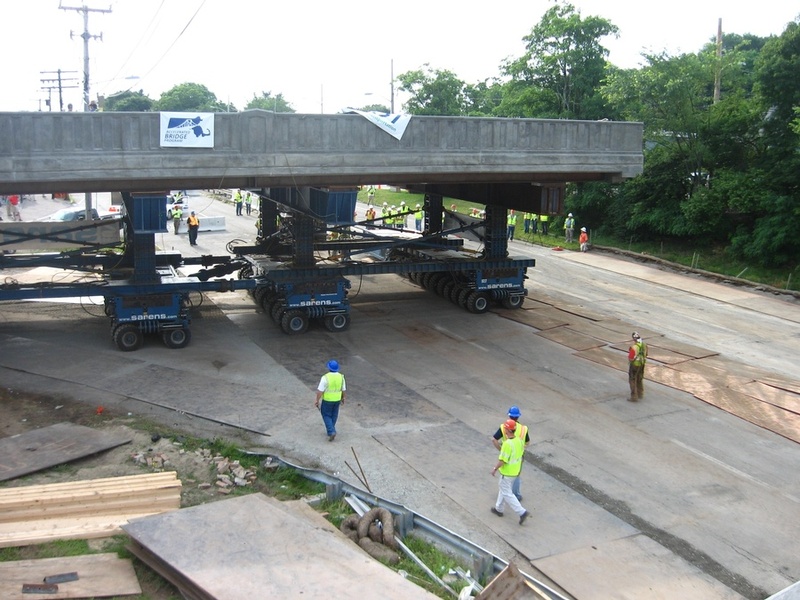 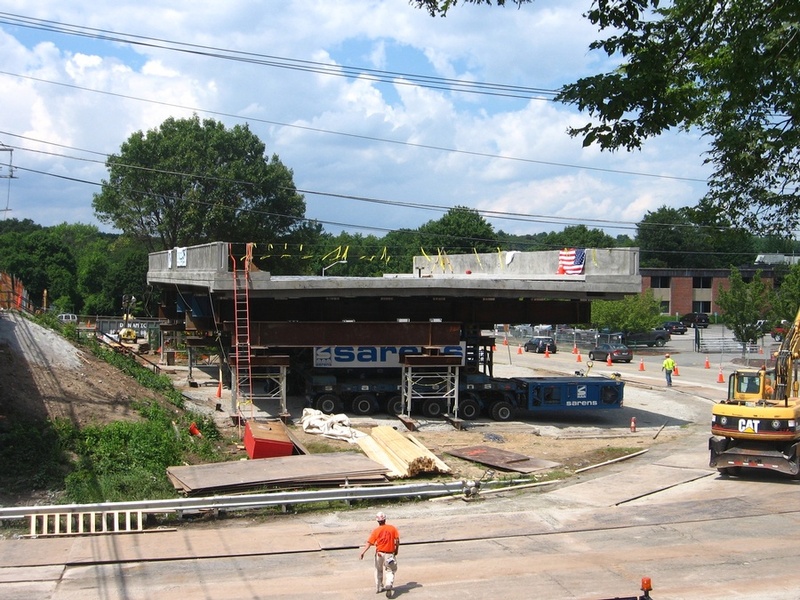 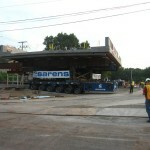 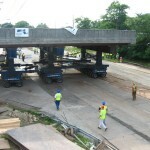 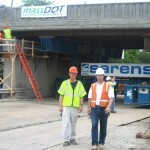 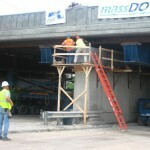 The bridge was moved at 9 a.m. on July 3, 2011 and was successfully installed and sitting on its bearings by 10:30 a.m. Route 9, Old Boston Post Road, was shut down to traffic from 9 p.m., on July 1 and was reopened at 6 p.m. on July 4, satisfying the 72 hour timeframe given. 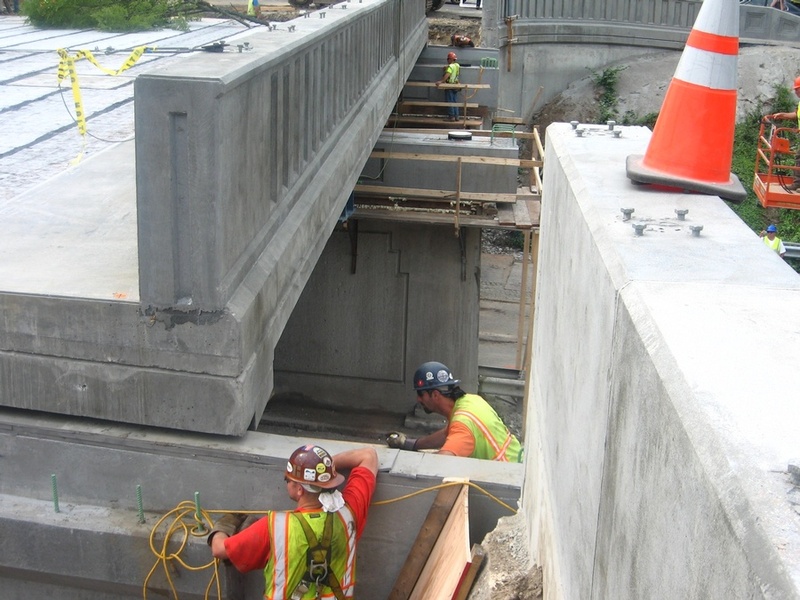 FINLEY developed the grouting procedure for the precast concrete abutments and piers, requiring the retro-fitting of the existing substructure in preparation of the superstructure receipt. 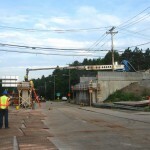 The grouting concept involved the use of rapidly-setting grouts, which allowed the bridge to be set on the substructure within three hours after the completion of grouting.